If you’re seeking adventure and excitement, zip lining in Mabira Forest’s super skyway will take you there! Beautiful Mabira is just 4km east of Kampala. And this makes it an excellent choice for a day trip from the capital city. As well as immersing yourself in this lush African forest, you’ll get to experience the high-octane thrills of zip lining. First of all, you’ll trek through the ancient trees with experienced sky captains. Next, you’ll be belayed up into the forest canopy. 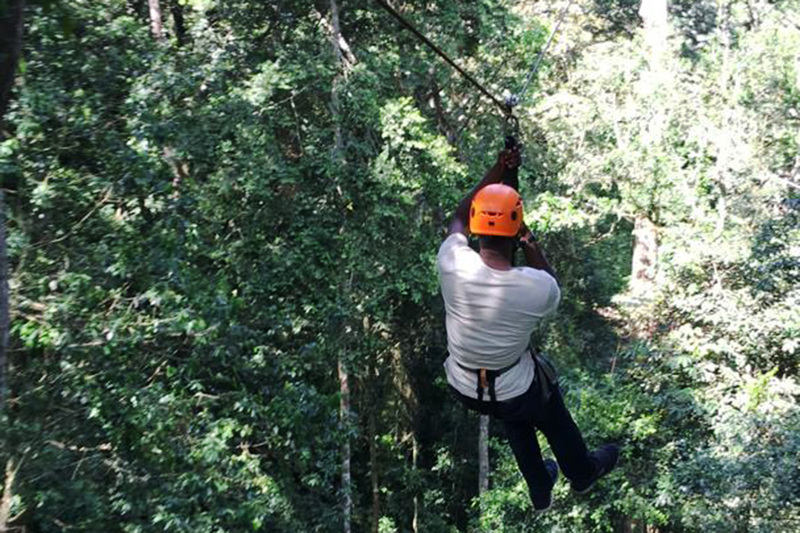 And then the zip lines take you soaring through the verdant heights. Besides primates like the Grey-cheeked Mangabey and Red-tailed Monkeys, you may see various colourful forest birds. An unforgettable experience!